At LRS Roofing, we serve Wincobank, Darnall and Tinsley with a selection of competitively priced roofing services to suit every need in the area. Regardless of the extent of the project, we will help with every one of your roofing requests including roof repairs and replacements. 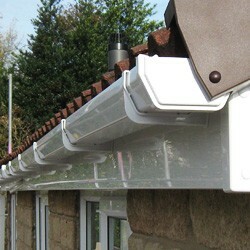 We carry out all of our work to top class standards and at low prices. Our roofers will happily visit your house and assess your roof to help you to decide what roofing work and layout will work best on your house. We will give you a free estimate for every project, and provide you with top class standards of workmanship and customer service. All our work is also protected by our extensive guarantee, giving you complete peace of mind remembering your roof is in safe hands. Our specially trained roofers are all Sheffield based, so wherever you are in Darnall, Wincobank and Tinsley, we are just around the corner. Call us immediately and speak to one of our dedicated team, because no matter what you require doing, you need a superior roofer. Contact 0114 304 9116.